Elegance, strength and sparkle is what I am trying to inspire woman for. Exactly this is what the new collection “ Royal” of Thomas Sabo is representing in my eyes. Therefore I was super happy when I received the “yes” from Thomas Sabo for this collaboration. Just before Fashion Week I received my package and I have been wearing my choice of accessories ever since. that makes it very special. In combination with the rose-gold setting it just goes perfect with the watch I am usually wearing and gives every outfit a perfect shine and sparkle. Especially in combination with the same coloured nail polish, that I always love to wear. This accessory is just perfect. From the same line I have chosen a fine bracelet that incorporates smaller stones in the same red that the ring has and different colours such as a light violett, a deep blue and yellow. You will find in my next fashion post, that exactly these colours are the absolute must haves for this winter and can be combined perfectly with the bracelet. All three pieces are in rose-gold, which is just the style I do like and wear the most lately, but the ring for example also comes in sterling silver with a blue or black stone. Even tho the last bracelet does not come from the same line it fits perfectly together with the others. The bracelet is called “Karma Wheel” because of the pretty plate in a form of a wheel that is attached to it. With the end of fashion week I have something very special for you! Together with Thomas Sabo I am raffling out two “Little Secrets” from their new collection. “Little Secrets” from Thomas Sabo are gorgeous. Especially like the rose gold hearts. timeless, elegant and classy – beautiful pieces. These are really beautiful, I’d love to win one as a gift for my Mom. Thanks for the competition! These pieces sound amazing. What a perfect treat. I would love to win one of those for my bestfriend! I think they’re absolutely beautiful! Would love to win! I would love to win one of these for my mum because she looked after me when I broke my hip and she is my dads carer so she really deserves a treat. Beautiful jewellery that I would be proud to wear. They are simply beautiful, I would love to have one for my brothers wedding. I’d love to win one to give to my wonderful sister for her birthday! My daughter loves Thomas Sabo, would love to win this for her! They are so pretty and delicate, I love the Thomas Sabo range. I would have it engraved if I won. I would love to win these “Little Secrets” to treat myself after a tough year. Little Secrets – Thomas Sabo are so pretty and my teenage daughter loves these so I would love to win so I can treat her for her 16th birthday ! I would love to win because the jewellery is just stunning and as a mum of 3 babies, I am in desperate need of a treat!!! Thomas Sabo jewellery is stunning. I would love to win this and give it one of my nieces. Because Thomas Sabo jewellery is just so heart-breakingly beautiful! Gorgeous pieces! Would love to win and surprise a dear friend! 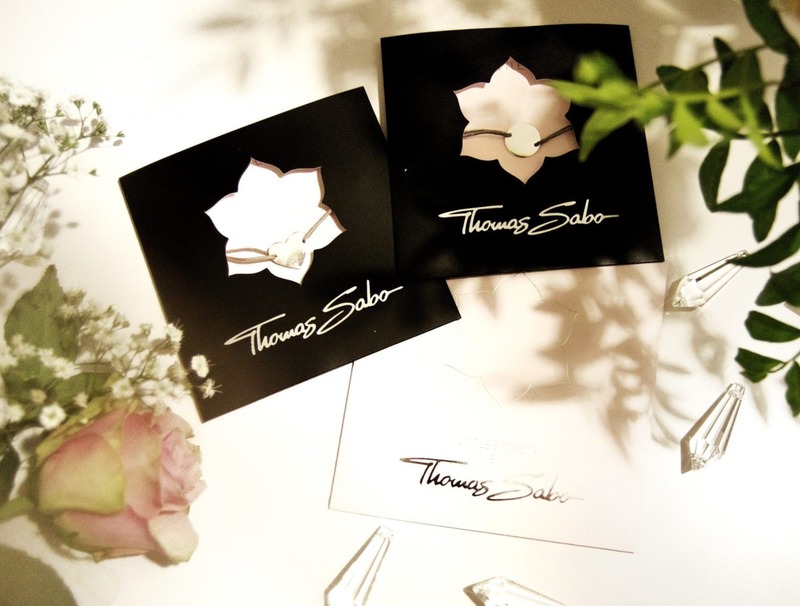 Thomas Sabo is truly one of my fave jewellery designers, gorgeous thanks ….. I think they would make a wonderful gift possibly for Christmas. My wife loves Thomas Sabo, this would be a great present for her. For an extra special treat for my mum for Christmas. I would absolutely love to win one of these beautiful Little Secrets! I never treat myself, as any money we have goes on the children, so this would be the perfect gift for me! I love jewellery that can hold a meaning…. something small and personal, but wearing it can help remind you to be strong, or brave, or that you’re loved. Jewellery isn’t just frivolous- there can be so much meaning behind each piece! These delicate ‘little secrets’ are so pretty but quite discreet as well, I really like them. Beautiful jewellery. I would love to win this for my daughter as a gift as she loves Thomas Sabo. The Little Secrets are gorgeous! I don’t think another reason is needed for why I would like to win them! I just think they are really pretty and just my kind of thing. Would add a lovely bit of sparkle to outfits over the festive season. I would absolutely love to win this for my daughter, would make a beautiful Christmas present. These are so simple, elegant and beautiful. Be lovely to have one to show off! I’d love to own one of the ‘little secrets’ as they’re so pretty and fragile looking, yet sparkle with confidence and I think wearing them will remind me that I can do so too. They are absolutely beautiful! I love the detail & they look so carefully made! I would love to win & treasure it forever. my partner would look great in the little secrets. it would be a wonderful surprise for her. I would love to win as i absolutly love Thomas Sabo 🙂 This is so pretty. Would love to win to give as a gift to my daughter. Super cute 🙂 I’ve got a Pandora bracelet but it’s fairly chunky, whereas this would be nice as a lighter accessory. Your jewellery is so pretty and dainty. I love it and it’s my birthday this week, so I can’t think of a more perfect gift! Because my hubby didn’t give to me any gorgeous gift like this! Ive stopped wearing the bracelet my ex husband gave me since we split up and i need something to replace it please! This would make a very pretty present for my sister who is always buying things for others, but never for herself. they are lovely, would love to win for sarah. I would like to win one because as you said they are a perfect mix of elegance and style. I think they are perfect to dress up or to wear all the time. Lovely! Sounds like an amazing christmas piece! Would love to win! I would love to win one of these for my niece as she has been the most wonderful daughter to my sister-in-law whist she has been ill.
Jewellery is a weakness of mine and these look lovely. I think that these are really pretty, feminine and stylish and would love to win one for my daughter for Xmas. Wow, what a beautiful prize. They are so beautiful I’d love to win. It would be a nice treat for myself. It would be lovely to hand down to one of our daughters, such a lovely keepsake. I would love to win this and surprise my wonderful sister. She deserves a treat. I would love to win, the perfect treat for my extra special sister! I’d love to win this beautiful bracelet to give my niece for Christmas. She loves beautiful things and any girl loves a sparkly christmas. They look so pretty, I’d love to win one for either myself or I’d give it to my daughter! wow-like everyone else i would love to win because they are so beautiful. Its really pretty, but the kind of thing that would be last on your list of things to buy – with everyone else in the family having a list of needs and wants first – but the first thing on your list of treats that you would love to have. Its gorgeous – thanks for the chance to win. Someone is going to be very happy to win. To gift myself for my birthday which comes straight after y daughters so I tend to not bother with it and concentrate on hers. I’d love to win as I love Thomas Sabo – my charm bracelet is gorgeous but I’d love another piece! It’s just a simply stunning piece. I have never owned anything so beautiful but would love to ! Would be over the moon to be your lucky winner. Fingers crossed. I’d love to win one to wear at Christmas time! You can’t beat a bit of sparkle! I would love to win one of these as I adore the delicate style of jewellery that Thomas Sabo designs plus, with Christmas coming up, I can’t actually even contemplate buying myself anything so this would be a lovely treat. The pieces are beautiful and classic. I would love to win this for my best friend who lost her nanna earlier this month. I’d love to win one of these so I can give it to my mum for Christmas as she is a big Thomas Sabo fan! Would love to own such a beautiful bracelet and would love a treat just for myself. I would love to win one for my best friend who now lives so far away!